Have questions or comments about any of the video lessons that are here on Rock Class 101? Feel free to discuss them here. Every month we run a site member challenge and each month the theme is different. This forum is dedicated to featuring the current monthly challenge, as well as, archiving past challenges. 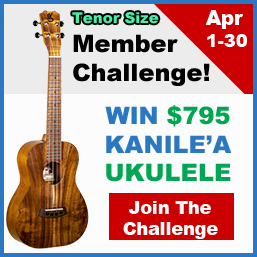 Talk about music: original songs, other people's songs, your favorite uke artists, etc. Feel free to share links! Share video or audio links of you playing Rock Class 101 lessons, cover songs, originals, or anything you're working on! I will feature some of these on the Rock Class 101 Facebook page as well! Talk about your ukulele collection, effects pedals, amplifiers, and any other related musical equipment.